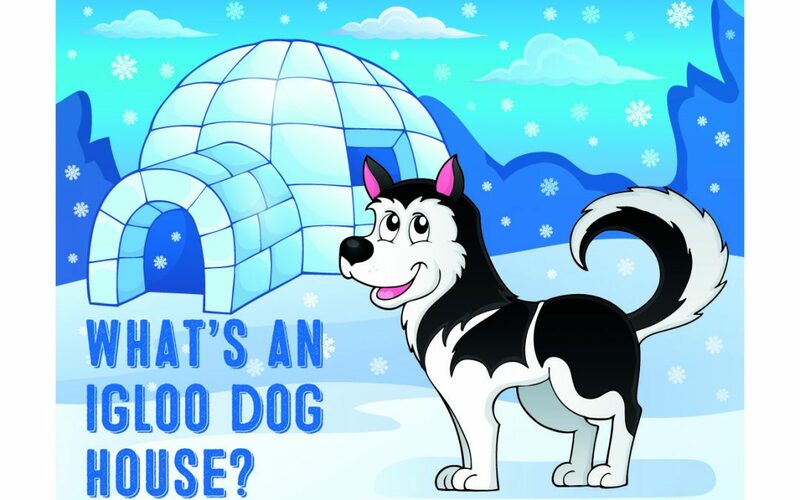 What’s an Igloo Dog House? An igloo dog house is an outdoor dog house, also known as an "dogloo" that offers some unique features that traditional outdoor dog house lack. The most striking feature of an igloo dog house, or dog igloo, is its eye catching design. ​Looking just like traditional igloos used by Eskimos, igloo dog houses certainly look a lot different than most traditional dog houses. 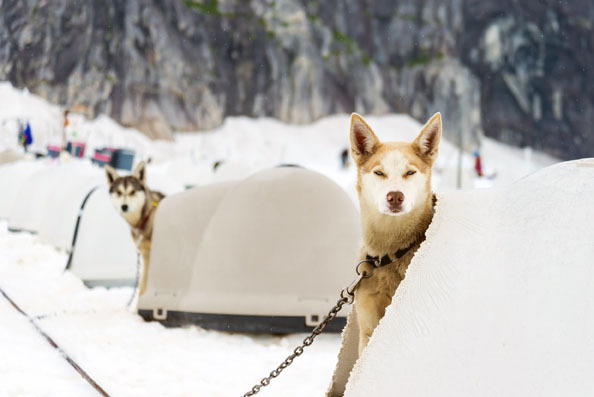 The design of these dog igloos, however, serve more purposes other than simple aesthetics. ​The fluid and aerodynamic exterior of an igloo dog house allows wind drafts to breeze through without rocking the house. Rain and snow easily slough off the sides. Igloo dog houses offer terrific insulation abilities. The unique design of the enclosure offers thermal protection against cold and heat - making it a great insulated dog house choice. This design also offers superior rain protection. During heavy winds and rain, your dog can move to the back of the dog igloo to avoid getting wet. ​If your dog is not used to using and sleeping in dog houses, you may need to acclimate your dog to the dog igloo over a period of time. The most important part of training your dog to use a dog house is to do the training when both you and your dog are in the right state of mind. You and your dog should both be calm and in good spirits. Make sure that there are no distractions around during the training like noise or other dogs. Try to find a favorite blanket, towel, or soft dog bed of your dog's and place it inside the dog igloo. Use some of your dog's favorite dog treats to get your dog to explore inside of the dog igloo. Once your dog goes inside of the igloo, use positive praise and reward your dog with a little more treats. If your dog still seems hesitant about stepping into the igloo, keep doing the praise and treat routine over a period of a few days. You can also use a favorite toy of your dogs to tempt your dog into the igloo. Never force or scold your dog for not wanting to remain in the dog igloo. Overall, igloo dog houses are a great choice for an outdoor dog house. 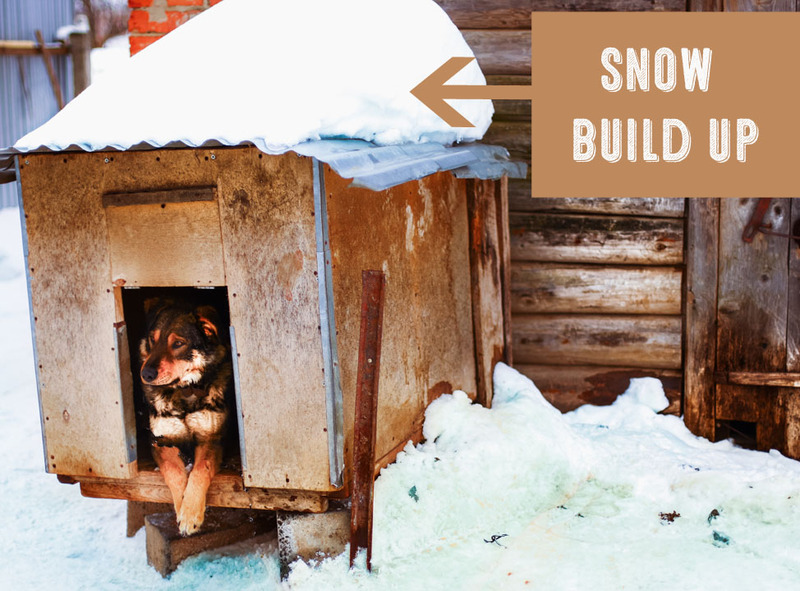 Igloo dog houses work especially well in areas that are prone to wind, rain, and snow. Is Your Dog Accustomed To Dog Houses? If your dog is only an outdoor dog​ it is likely that he or she is used to the idea of going into a dog house for shelter. However, if your dog is both an indoor and outdoor dog there could be a possibility that your dog may not want to willingly use a dog house. This could be because your dog is used to being in the open when it is indoors and not having to rely on a dog house for shelter. If your dog is not ​keen on using dog houses it may take some training and effort to teach your dog to be comfortable in a dog igloo or any outdoor dog house in general. Keep these factors in mind before deciding to purchase an igloo dog house. If your dog already has the option of going inside for protection against the elements, it is possible that any outdoor dog house you buy for your dog will go unused. Igloo dog houses are not designed for portability. They are odd-shaped, bulky, and don't commonly come with handles. If you frequently need to transport your dog along with its dog house, then dog igloos are not the best dog house choice. Some of the more traditionally designed dog houses may be easier to handle and transport than dog igloos. Of course, you could leave the dog igloo at home and simply use a dog crate carrier for transportation. 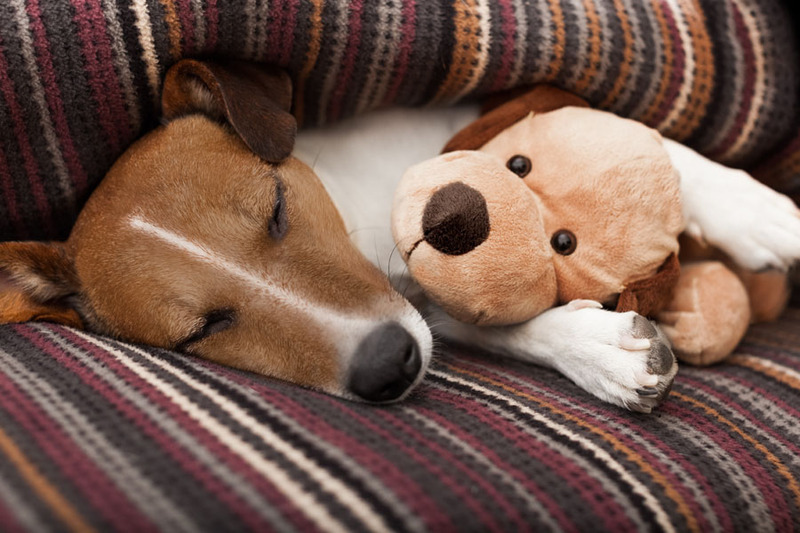 It all depends on your individual dog's needs in terms of housing during travel. 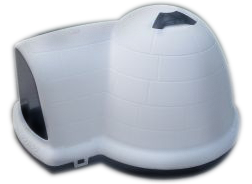 The Petmate Indigo Igloo Dog House with Microban is by far, the best dog igloo on the market. Constructed of high quality materials that include an inner foam lining for insulation, this dog igloo is built to last. This dog igloo features material made with Microban which is an antibacterial product that reduces stains and odors causes by bacteria. There is a air vent on the top of the igloo to ensure adequate ventilation inside the dog igloo. This Petmate Igloo dog house also features an extended door entry and raised floor to protect your dog from getting wet during times of wind and rain. The exterior of the igloo features an aerodynamic roof that lets rain and snow easily fall to the sides. ​A moat on the bottom of igloo collects excess water and drains it away from your dog's living area. These Petmate dog igloos comes in three sizes- medium, large, and extra large. Be sure to choose the proper size for your dog's or pet's needs. If the dog igloo is too large it won't offer enough ​protection from cold temperatures. If it is too small, your dog won't be able to comfortably walk through the front doorway to get into the igloo section of the dog house. The medium Petmate Dog Igloo accommodates d​og 25-50 pounds, the large 50 - 90 pounds, and the extra large 90 - 125 pounds. 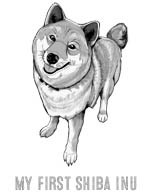 This weight measurement is just an estimate and does not account for dog height. In general, I found that it safer to go up one size larger if your dog falls at the high end of the size threshold. So if your dog weighs around 45 pounds, it would be better to opt for the 50 - 90 pounds size range instead of the 25 - 50 pound​ size range. Check the latest price of the Petmate Indigo Dog Igloo House with Microban here.